One of my all-time favorite red wines is Loire Cabernet Franc. Well-aged, on the powerful side, or named for “drunken nights,” its savory freshness makes me swoon. You can also find great deals on Loire Cabernet Franc made in a manner to drink right away. I (re)discovered this at a recent Loire Valley wine tasting. 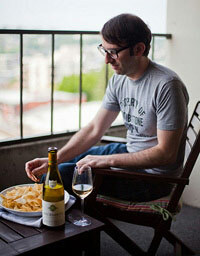 I sold a ton of this co-op wine, particularly its Chenin Blanc, when I was working at the QFC in Seattle. The red, I had spaced a bit. 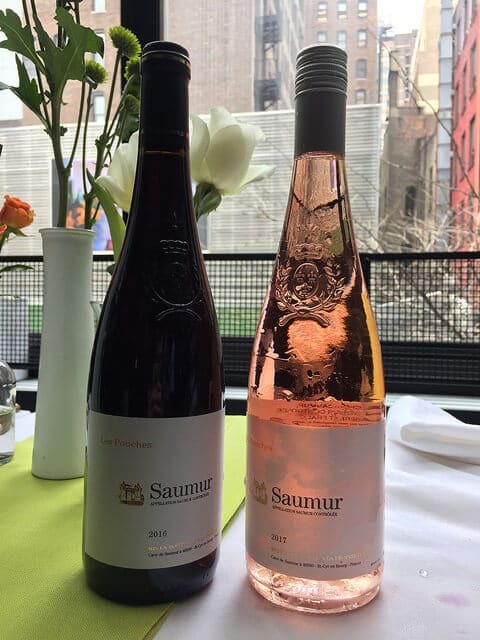 These wines transported me to a happy Loire Valley place of delicious wines at great prices. The rosé, also from Cab Franc, is going to the top of my list for a case buy. Interesting to note that both come from the same parcel, Les Pouches. Of course the rosé is best well-chilled but also don’t be afraid to stick the red in the fridge for like a half hour. Especially when you’re dealing with a drink-now type of red wine. As far as glassware goes, I like to keep it informal with tumblers, juice glasses, or enamelware. Although I have not had much Saumur (the bike trips I led back in the day stopped in Chinon), Cab Franc wines from the Loire are truly undervalued. I also have to use the word “swoon” more. Since I do, in fact, swoon from time to time.